The Levy County Sheriff’s Office is seeking community assistance in locating a missing and endangered adult. 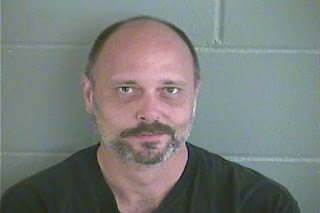 Paul Daniel Hord (6-17-74) was last seen on December 15, 2017 at 8790 NW 180th Street in Fanning Springs by his estranged wife. Paul Daniel Hord recently separated from his wife and is suffering from extreme depression and has not been taking his prescribed medication for some time. His wife, Allison, reported Paul missing to the Levy County Sheriff’s Office on December 18th after Paul dropped off his vehicle, personal possessions and his cell phone at the marital home. Paul had been staying in local motels since their separation. Paul is described as a white male, 43 years old, 5-9”, 180 lbs with blue eyes. He has short brown hair and is balding. He was last known to have a salt and pepper mustache and goatee. Anyone who has information which would help us locate Paul is asked to contact Sergeant Mike Narayan at the Levy County Sheriff’s Office at 352-486-5111 ext 267. UPDATE: On November 28, 2017, LCSO published details of a reported shooting that occurred on November 24, 2017 at the business known as “Melvin and Alice’s Restaurant.” The investigation revealed that two victims had been wounded by shotgun rounds fired by an unknown suspect. 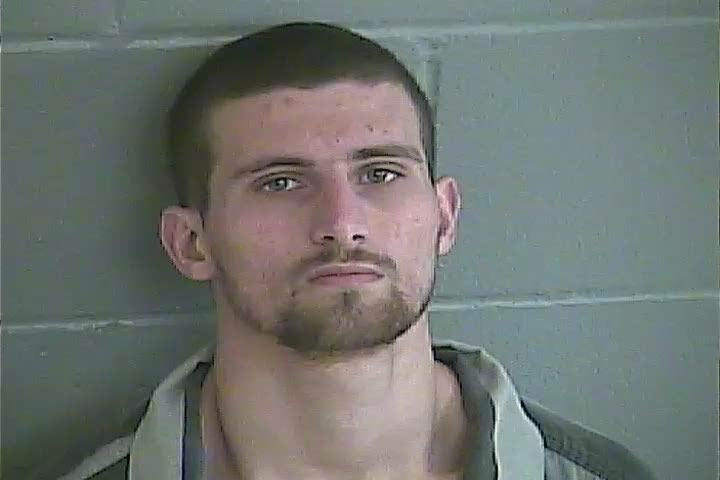 Based on an extensive investigation, LCSO Investigator Justin Douglas was able to obtain an arrest warrant for Anthony Walter Vessels (7-19-91) for two counts of attempted murder. On December 11, 2017, members of the U.S. Marshal’s Service Florida Regional Fugitive Task Force located and arrested Vessels in Broward County, Florida. Vessels will be held at the Levy County Detention Facility on a bond of four million dollars. Sheriff McCallum said he is very proud of the investigative work by LCSO personnel and appreciative of the assistance provided by the Fugitive Task Force and others in this investigation. Investigators have already interviewed Vessels and the case remains active. LCSO urges anyone with information regarding this incident to contact Investigator Justin Douglas or Justin VanDuren. The Levy County Sheriff’s Office Uniformed Patrol Division and the Criminal Investigations Division (CID) formally charged John William Gardenier (9-28-93) Tuesday, December 5, 2017. Mr. Gardenier was a person of interest in several burglary and theft investigations in the Inglis area of Levy County as well as a suspect in a burglary reported on November 9th by the Florida Sheriff’s Youth Ranch – Caruth Camp which is located north of the Town of Inglis on US Hwy 19. The Uniformed Patrol Division was actively seeking Gardenier to arrest him and on November 17th Deputy Lee Prine spotted him riding a bicycle in Inglis near the Circle K located at the intersection of US 19 and SR 40. Deputy Prine attempted to stop and arrest Gardenier, but Gardenier had other plans and ran. Gardenier was able to escape into a nearby wooded lot and was not captured. On November 21st CID applied for a warrant for Gardenier’s arrest based upon evidence obtained through their investigation at the Caruth Camp. A warrant was issued for Gardenier’s arrest for burglary, grand theft and grand theft of a motor vehicle. A $100,000.00 bond assigned to this warrant. On November 27th, Deputy Prine spotted an unregistered motorcycle being ridden on SR 40 in Inglis. Deputy Prine activated his emergency lights, signaling the driver of the motorcycle to stop. The driver did stop, but as Deputy Prine exited his patrol vehicle the driver turned toward him, made a departing (not so nice) statement and sped away. Deputy Prine was able to identify the driver of the motorcycle as Gardenier. 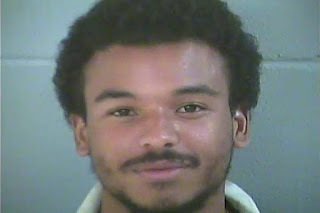 Gardenier fled into a nearby parking lot where he ditched the motorcycle and fled on foot. He was able to evade capture again. Gardenier’s luck ran out on December 1st when an alert Citrus County deputy located and arrested him for the active Levy County warrant. Gardenier was placed in the Citrus County Detention Facility and later transferred to the Levy County Detention Facility on December 5th. When Gardenier arrived at the Levy County Detention Facility additional charges were filed by Deputy Prine. Currently, Gardenier is being held in the Levy County Detention Facility and has been formally charged with burglary, grand theft, grand theft of a motor vehicle, fleeing and attempting to elude a law enforcement officer, failure to register a motor vehicle, operating a motorcycle without proper endorsement and three counts of resisting arrest without violence. His total bond is $195,500.00. The Criminal Investigations Division is still actively working on additional cases in which Gardenier is a suspect. Anyone with information that could assist these investigations is asked to contact Investigator Mike McNeil at 352-486-5111, extension 266. Or, if you wish to remain anonymous, please contact LevyCrimeStoppers at 1-877-349-8477. You could be eligible for a cash reward. 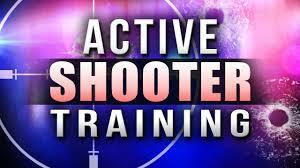 Levy County Sheriff Bobby McCallum is offering a free Active Threat Response class to interested citizen groups. This class is being offered in light of the many tragic active shooter and active threat events that are occurring in our country and around the world. This class will help our citizen groups be more prepared by knowing how to respond if ever involved in this type of situation. The class is approximately an hour long and includes a question and answer period, and is designed for citizens over 18 years old. Classes will be offered by the Levy County Sheriff’s Office Community Relations Division once our citizen interest groups have been established and a schedule can be designed. These classes are currently being offered to businesses, churches or civic groups. Sheriff McCallum urges each of these groups to take advantage of this free class so that you can be more prepared. Please contact Deputy Grant Sandlin to inquire about class scheduling or to schedule an event for your business, church or civic group by calling the Levy County Sheriff’s Office at 352-486-5111 or email gsandlin@levyso.com directly. On November 16, 2017 three Levy County Deputy Sheriffs responded to 7450 NW 110 Street in Chiefland to a reported domestic violence complaint with an armed subject. Deputies arrived and confronted Michael Wesley Goodale (7-21-83) at the front door of this residence. Goodale was armed with two knives and refused to comply with all lawful orders given by deputies. Deputies deployed Tasers in an attempt to disarm Goodale, but the Tasers were ineffective. Goodale attacked our Deputies which forced them to use their agency issued handguns to stop this attack. Goodale was struck by two bullets fired by our deputies and did not survive his injuries. Two deputies sustained minor injuries during the altercation. The Levy County Deputies involved in this incident were placed on administrative leave with pay that same evening in compliance with our agency policy. Sheriff McCallum contacted the Florida Department of Law Enforcement (FDLE) and requested they conduct an independent investigation into this incident. Sheriff McCallum was recently updated on the progress of the FDLE investigation and has authorized all three deputies to return to duty. On the date this incident was reported by the complainant, who called 911 to report the emergency, the LCSO Communications Division dispatched the nearest unit available and back-up units. Deputy Robert “Bob” Cannon was the first to arrive on scene. K-9 Sergeant Kevin Kinik and K-9 Deputy Gary Garboski arrived within two minutes of Deputy Cannon’s arrival. Deputy Cannon has been employed with the LCSO since May of 2005 with prior experience as a Police Officer with the Chiefland Police Department and as a Correctional Officer with the Florida Department of Corrections. Sergeant Kinik began his career with the LCSO in January of 2004 and has four years of prior experience with the Chiefland Police Department. Deputy Garboski began his second career in law enforcement with the LCSO in November of 2015 after completing a full career with the Tampa Police Department. This deadly encounter is the only time Levy County deputies have been forced to engage a criminal suspect with deadly force since 2005. In both these instances the lives of our deputies and our community were endangered. This is a tragedy for all involved. Our deputies, as well as every other law enforcement officer across this nation, have to make the most difficult decisions in a split second to preserve life. The family of Mr. Goodale was forever altered that night and these deputy’s lives have also been affected. Our thoughts and prayers are with our men and women who have taken an oath to protect those in our community who entrust us with their safety, and with the Goodale family.